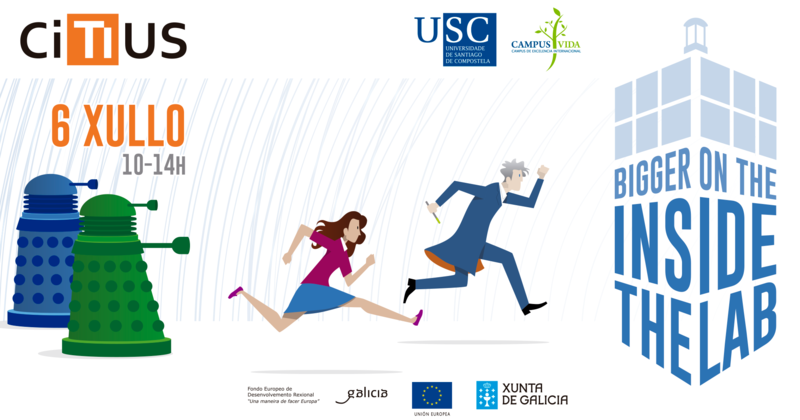 CiTIUS organizes the fourth edition of the Open Day ‘Inside the Lab’, a meeting where companies and public sector will be able to know the latest research advances developed in the center, as well as their possible applications in different sectors. One more year, the Technological Demonstration Day Inside the Lab gives our staff a chance to show their skills transforming scientific results on the top of international research into innovative technologies. Throughout the whole morning (10:00-14:00), some of the latest solutions developed at the center, with applications on different areas of industry and society, will be presented, as well as two of the spin-off companies emerged from the center: Situm, which focuses on indoor positioning technologies, and Imagames, specialized on the developing of gaming technologies in several domains, such as Training of Employees and Students or Digital Marketing. In order to participate in this event, registration through the official website until Thursday 5 July is required.